Caption slip reads: "Photographer: Paegel. Date: 1951-09-05. Reporter: Adler. Assignment: Chapman College. 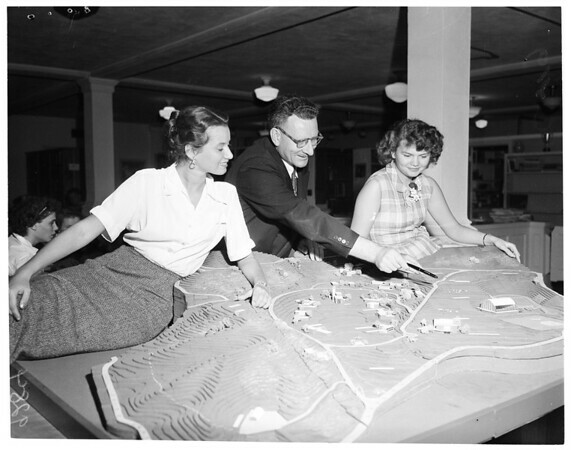 60/61/20: Dean Virgil McPherson, center, showing prospective students, Marlaina Kessick & Sarah Pryor, scale model of new college at Laurel Canyon & Mulholland Drive. Monday".